This is a childhood fave of mine. I have many memories of these cookies…in particular, my mom would always make these for my elementary school classroom treat. LOVE THEM! 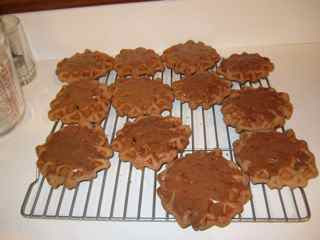 We call them waffle cookies, but I would also call them turtle cookies (because their shape is similar to a turtle). 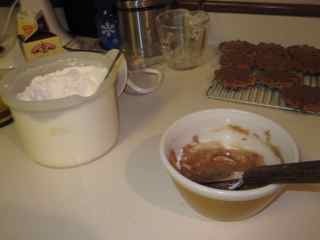 Using a mixer, cream together white sugar, brown sugar, and butter. 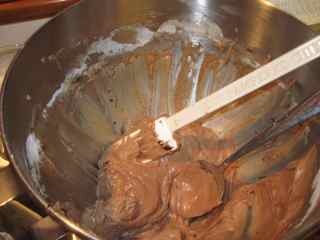 Add evaporated milk, beaten eggs, melted chocolate, vanilla, and flour. And yes...the batter tastes as good as it looks! Drop by teaspoon on hot waffle iron, close and bake for a couple of minutes. Frost while hot with powdered sugar frosting (butter, powdered sugar, and cocoa). 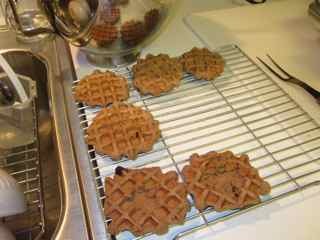 My mom's retro waffle iron works the BEST for these cookies! Yum! These look awesome. 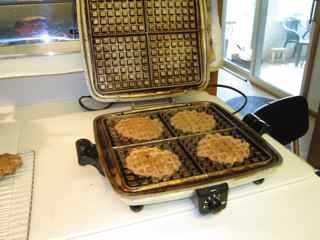 I've never seen waffle maker cookies. THanks for the idea Lori! My mom makes these and calls them Turtle Cookies!